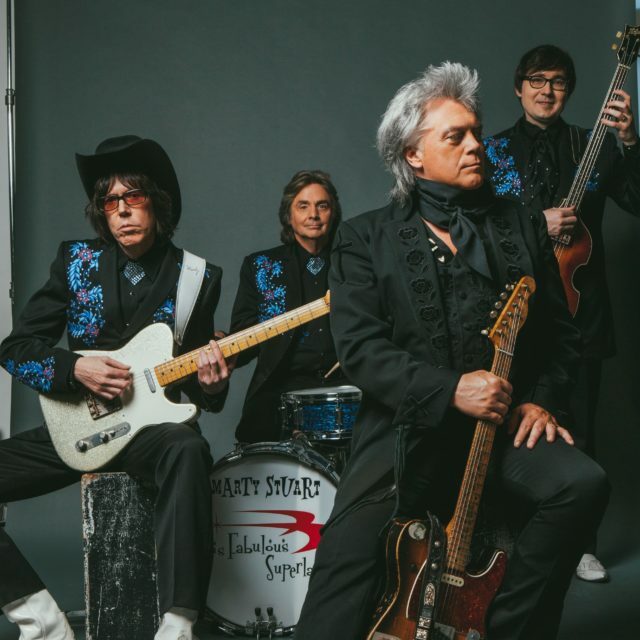 The Strawberry Music Festival has announced the signing of Marty Stuart and his Fabulous Superlatives to complete the 2019 Main Stage lineup for this year’s Festival to be held in Grass Valley at the Nevada County Fairgrounds on May 23-27. Marty Stuart is a five time GRAMMY-winner, platinum recording artist, Lifetime Achievement Award recipient from the Americana Music Association, Grand Ole Opry star, country music archivist, photographer, musician, and songwriter. Since starting out singing gospel as a child, Stuart has spent over four decades celebrating American roots music. His teenage years on tour with bluegrass legend Lester Flatt in the ’70s were followed by six years in Johnny Cash’s band in the ’80s, and a chart-topping tenure as a solo artist in the ’90s.